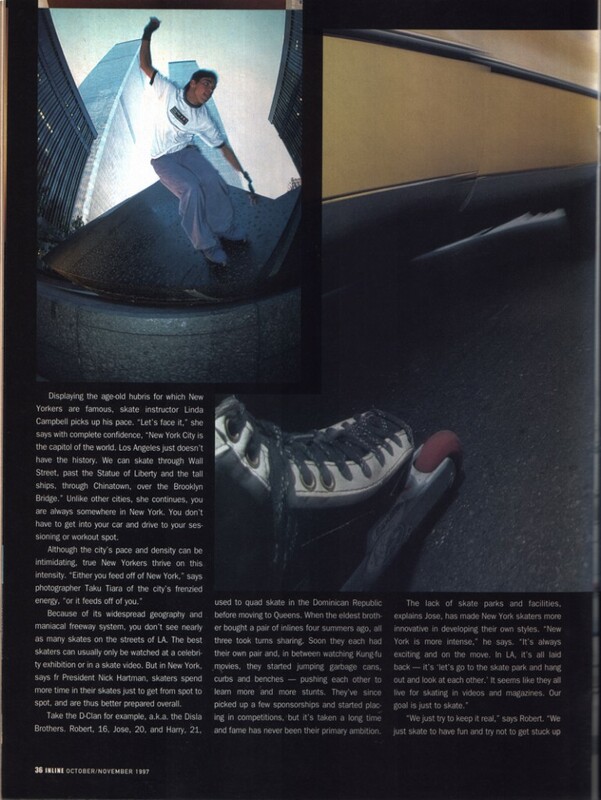 Continuing the series of excerpts from Inline Magazine, 1997, we here meet various smug types talking about why it’s better to skate in New York than in Los Angeles (perhaps true if you ignore days like last Friday when it was 1°F and windy here). Inline Magazine also introduces a trio of brothers from Queens who sound like nice guys and who continue to appear in the skating press through at least 2011. The point is made that most New York skating takes place outside of skate parks, and I agree that this has always been true. This entry was posted in Uncategorized on February 23, 2015 by stern.